The ECS Cloud Email Service (CES) offers clients an OPEX-based model for purchasing an enterprise email service in the cloud. The service offers flexible deployment options to suit business requirements. The service is delivered on Microsoft’s cloud-based Exchange infrastructure and is designed as an off-premise, highly available, alternative to an on-site Exchange deployment. It is suitable for SMB’s and large Enterprises. The mutually-agreed upon order acknowledgment (as applicable, the “Order Form”) will include the name of the service(s) and available service options purchased. For additional assistance please contact a Eurotech sales representative. The CES delivers a cloud-based Exchange email service, with varying options for the end user email client software application. All Microsoft Exchange functionality and email data is hosted in a Microsoft Cloud Datacentre. The CES includes the initial professional and consulting services required to configure the CES environment for the customer, which includes a limited number of end-user client installs to serve as training for the system administrator (in the event that the Client does not have their own in-house IT systems administrator, the Client can purchase a service option for a fully managed CES). The Client is responsible for deploying and rolling out the client software (i.e. Microsoft Office suite of applications) and associated configuration to the end-user devices (note that existing Eurotech clients can make use of their TA allowance for the deployment of additional end-user software; alternatively this can be provided as a chargeable professional service). Basic end user configuration and administration will be handled by the Client IT administrator through a client portal. After handover of the initial setup to the Client, standard support for the CES service is available via the Microsoft helpdesk on a 24×7 basis. 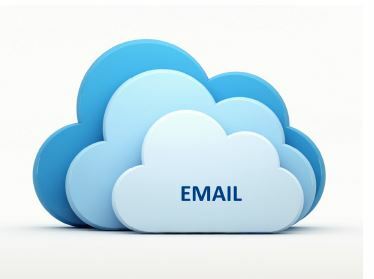 Should the Client wish to purchase a fully managed email service from Eurotech, this is available as a service option. This will provide the Client with a Eurotech contact that serves as a virtual in-house email service administrator and who can be contacted during normal Eurotech business hours (UK local time, Monday through Friday, excluding local, state, provincial and/or country public holidays) to provide any technical support or service request fulfillment. Upon a confirmed order being placed, an ECS representative will contact the Client to schedule a project kick-off meeting to clearly define the scope and requirements of the service. This will be defined based upon the complexity of the engagement and the number of mailboxes. Please allow for at least a ten business day lead time for the engagement to start to secure availability of resources from both parties.